Larry Wheels is a phenom. With a physique like his bodybuilding heroes, and strength like the powerlifting legends he adores. He has a huge following on social media and has used fitness and health to claw his way out of extreme poverty. He also seems to be a true gentleman, and his honesty is a breath of fresh air for this industry – but more on that later. In this article, we will take a look at who Larry Wheels is, and whether he is using steroids to achieve his impressive physique and strength. 1 Who is Larry Wheels? 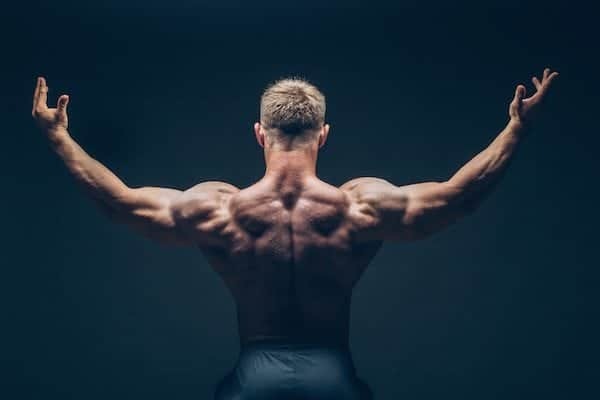 3 How to Tell if Someone is Using Steroids? 4 Is Larry Wheels on Steroids? 5 Gaining Muscle and Strength without Steroids? Larry “Wheels” Williams has had a tough life, growing up in New York where he was fostered while separated from his mother between the ages of 7 and 12. At 12 years of age, he moved to Saint Martin, an island in the Caribbean to be with her. In this predominantly French-speaking country, he found it difficult to make friends and was unable to attend school. Instead, he created his own weights and dedicated himself to improving his strength and body. He used a broomstick and two cinderblocks to fashion a crude barbell and performed bicep curls, bench presses, and deadlifts with these weights. As you can imagine, he was desperate to get into a real gym. At 16 he moved back to New York, to the Bronx where he signed up to the gym. By 17 he was the strongest man in his gym. By 18 he was performing in powerlifting events, winning the 275lb class while weighing just 247lbs. In 2017 he broke the record for most total weight lifted in his weight class. He also dipped his toe into bodybuilding, winning the NPC Gold Coast Classic in 2018. He is incredibly popular on social media, with a big YouTube and Instagram presence. Larry often trains with Hafthor Bjornsson (of Game of Thrones and World’s Strongest Man fame) often, and both men seem to bring out the best in each other. What’s truly amazing about Larry Wheels is how young he is, born in 1994 he is only 24 years old at the time of writing. He’s perfectly set to stay in the powerlifting world and set more records for the next 10 years. Or he could start prioritising bodybuilding, he would have a huge head start on most of the competition. He could also choose to do his own thing, something that is becoming more and more common thanks to social media. Anabolic steroids are a synthetic drug that athletes, fitness models, and bodybuilders use to mimic the effects of testosterone. They are also used by many regular gym goers. While it is obvious that certain people are taking steroids, it isn’t always. There are many different types of anabolic steroid, but they can broadly be split into three categories. There are steroids that help you to build muscle, steroids that help you to perform better in sports/in the gym, and there are steroids that help you to burn fat – these are used to help get that incredible definition that bodybuilders and fitness models strive for. Some steroids will fit into two or even all three categories. Testosterone, for example, can be used to pack on muscle, improve your performance, and help you to burn fat. Examples of bulking steroids would be Dianabol, Anadrol, Testosterone, Deca Durabolin, and Trenbolone. Examples of performance steroids would be Winstrol or testosterone. While cutting steroids would include Clenbuterol and Anavar. Pro Hormones are another often used form of performance enhancer. There are also a lot of performance enhancing drugs that are NOT anabolic steroids. Bodybuilders use human growth hormone, ephedrine, insulin, IGF-1, DHEA, even diuretics . How to Tell if Someone is Using Steroids? Usually, it is not easy to know whether someone is using steroids or not. Unless that person is a bodybuilder or fitness model with a naturally unattainable body. There is a common belief that everyone who takes steroids wants to look exactly like a bodybuilder, but this is just not the case. Many steroid users do so to improve their sporting performance. Or they do it so that they can maintain a decent physique while being a little less disciplined with their diet. Then there are the many people who take steroids but don’t work hard enough to see a difference. Steroids will help you achieve amazing results – but not without a dialled in diet, and a well-structured training program. But even with someone who may not have the body of Schwarzenegger in his prime, there are still signs to look out for. The first thing you should look out for is a very quick transformation. When training naturally, you can only expect to build a small amount of muscle each year. According to some experts, 2-3lbs of muscle per year is realistic. If your suspect has gained 10lbs of muscle in the last 12 months, then it is fair enough to assume that they are taking steroids. Another marker of steroid abuse is the ability to train more than 7 times per week. A natural lifter should be training four to five times per week, with a couple of days of rest to allow their body to recover. Steroid users can avoid the need to take days off because anabolic steroids can massively speed up their recovery. Many bodybuilders talk about training twice per day. Often, the public thinks that this is just an example of bodybuilders working harder than everyone else. Which is true. But it would not be possible for someone to manage this without steroids. Other ways to tell can be severe acne on the face, back, and chest . Oily hair and skin. Hair loss is possible in some men, you may even see a change in mood. With increased depression, aggressiveness, and irritability. It should be stressed that many men will not see any of these side effects. One thing that is kind of odd about the conversation around anabolic steroids is how negative the media is about it. Anabolic steroids are dangerous yes, but no more so compared to alcohol, marijuana, or nicotine. The side effects of taking steroids do exist, but there are side effects to taking any drug. They are a possibility, not a certainty. Is Larry Wheels on Steroids? Usually, when doing an article on whether someone is taking steroids or not, we have to be very careful. Some people really are just genetically gifted. Some people took steroids years ago, but don’t take them currently. While some people take steroids but have to pretend not to. In fact, this last one is the most common issue. Bodybuilders and athletes cannot admit to taking steroids without losing their sponsorships, or in the case of professional sports people – lose their careers. But Larry Wheels is different. Because Larry Wheels has admitted to taking steroids. This is a breath of fresh air. Because while it is obvious that he has been taking steroids, if he had chosen to deny it there would have been no consequences. Nobody was going to order random drug tests. He would not have had to take a lie detector test. The FBI would not have been breaking down his front door. But Larry was brave enough to admit to it, and this has gotten him a lot of respect in the fitness industry, and hopefully from the general public too. Regular people are not (on the whole) idiots. We can tell when someone is taking steroids most of the time. Even if they won’t admit it. If Larry had said he was steroid-free there would have been very few people who believed him. In March 2017, fresh off his world record lifts he posted a video talking about his history with anabolic steroids. He claims that back in 2013 he was taking 1200mg of Testosterone, Pro Hormones, Supadrol clones (designer steroids) and Trenbolone . Larry was also taking Tbol (Turinabol) and Dbol (Dianabol) at the same time, something that many steroid users shy away from doing. He was taking all of these in the same cycle! This is not recommended by anyone and it is no surprise that he found this particularly gruelling. Claiming that he felt like there was a rat in his stomach trying to claw its way out. If ever there was a description to keep the kids away from anabolic steroids, then that was it! It’s one thing admitting to having taken steroids six years ago though, it’s another thing entirely to admit to still be taking anabolic steroids. But Larry admitted just that later on in the video. He mentions that he has stopped taking most of the steroids he mentioned earlier, and just sticks to Testosterone and Anadrol. This is an oral anabolic steroid, which means that it is not injected but taken in pill form. Surprisingly, this is a more potent version than injectables and is seen as more dangerous too. He says that Test and Anadrol have been his “bread and butter” since September 2016 – which at the time that the video was made would have been about five or six months. Larry also says that he has experimented with Tren about three times, but that each time he suffered from severe cramps. He also wasn’t as impressed with the results, claiming that the injectables he has taken were never as effective as the orals he has taken. He also says that the orals gave much less side effects. Should he Have Admitted to Taking Steroids? It’s an interesting question. On the one hand, by admitting to taking steroids he is putting himself at risk of getting in trouble with the authorities. While arresting bodybuilders for steroid abuse is pretty rare, we should remember that taking unprescribed steroids is still illegal. Telling the world that you are taking them isn’t smart from a legal standpoint, if he ever did get in trouble with the law, he would want a bit of deniability, which he no longer has. Larry has also potentially cost himself a sweet side-gig promoting supplements. Bodybuilders would say that supplement company sponsorships are where they make the most of their money, but very few supplement companies are going to sponsor a guy who has openly admitted to taking steroids. Not because they are put off by the moral implications, but rather because the whole point of using a bodybuilder to sell their supplements is to trick the customer into believing that only their products are responsible for such massive muscle gains. By admitting to taking trenbolone, testosterone, and all the rest, Larry is basically saying “these are what got me to be so big, not whey protein”. But another way of looking at it is this way. Larry has been completely upfront and honest about what he has done to get where he is. What he has taken, how much, and why he has stopped/started certain products. As a fitness “celebrity” you could consider it is his duty to warn people about what they may be getting themselves in for if they decide to follow in his footsteps. Larry did not glorify steroids, he honestly assessed them, and admitted that taking a lot of them at the same time made his life hell. If more bodybuilders were honest about the downsides of taking steroids, then maybe the public would have a better idea of 1) how difficult it is to take anabolic steroids correctly, and 2) the sacrifices they have to make to achieve what they have. A lot of people genuinely believe that Ronnie Coleman’s 2005 physique is just a couple of injections away. This is absolutely not the case, and Larry is helping to change that perception. It would be great if he stayed as open and honest about what he is doing and why throughout his career, as this form of education is sorely needed by a lot of lifters. Larry deserves a lot of respect for his career, for what he has achieved, and for having the courage to be completely honest about something that 99% of bodybuilders treat as taboo. Gaining Muscle and Strength without Steroids? It is not necessary to use steroids to build muscle and strength. However, it will certainly give you an advantage over those who don't. To build muscle naturally you will need to training with intensity and make sure you are eating loads. This would be a good start, but it's not all you need. Supplementation is also a good idea. And while they are not as effective as anabolic steroids the legal alternatives should not be ignored. The right ones can offer various benefits of their own. 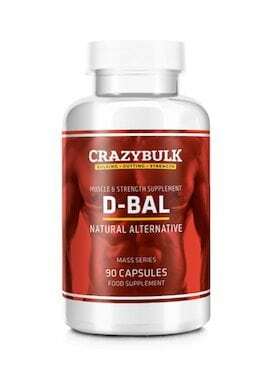 For example, Crazy Bulk is a company who sells a variety of legal steroid alternatives. D-Bal is one of their more popular products and it is made from proven ingredients. These include numerous BCAAs, Whey Protein Concentrate and Tribulus Terrestris. When combined the ingredients will help to increase nitrogen retention, which will result in an increase in protein synthesis. Does D-Bal work as claimed? You only need to visit the Crazy Bulk website to learn the truth. They have numerous testimonials available to prove these claims.